Every arena of science has its own flash-point issues—chemistry and poison gas, physics and the atom bomb—and genetics has had a troubled history with race. 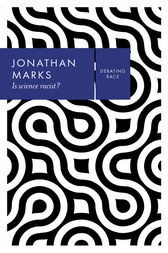 As Jonathan Marks reveals, this dangerous relationship rumbles on to this day, still leaving plenty of leeway for a belief in the basic natural inequality of races. The eugenic science of the early twentieth century and the commodified genomic science of today are unified by the mistaken belief that human races are naturalistic categories. Yet their boundaries are founded neither in biology nor in genetics and, not being a formal scientific concept, race is largely not accessible to the scientist. As Marks argues, race can only be grasped through the humanities: historically, experientially, politically. This wise, witty essay explores the persistence and legacy of scientific racism, which misappropriates the authority of science and undermines it by converting it into a social weapon.